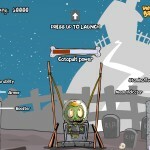 Launch Zombie Click to find more games like this. 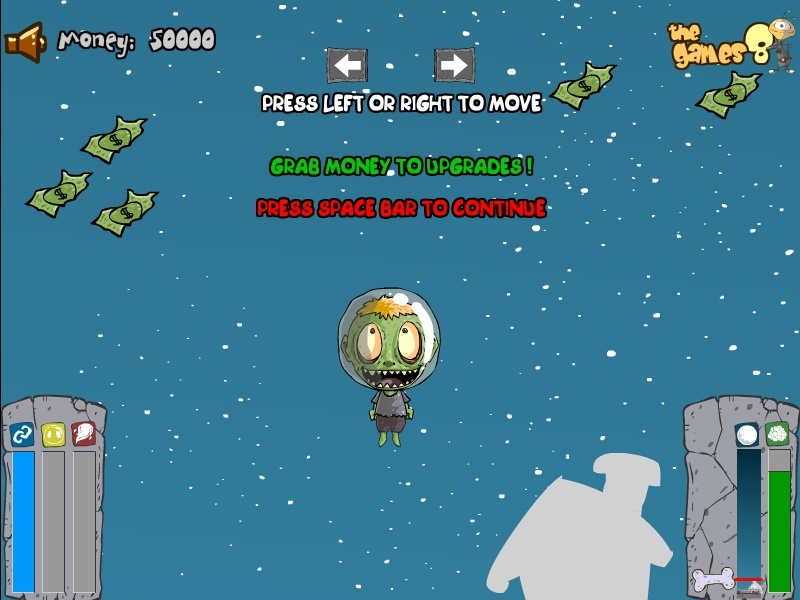 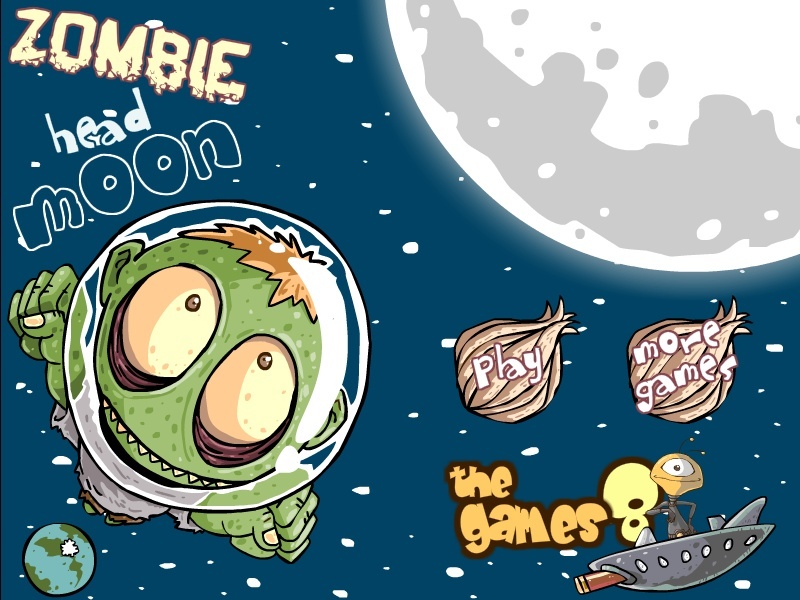 In this funny distance game you have to help the little zombie kid to get to the Moon. 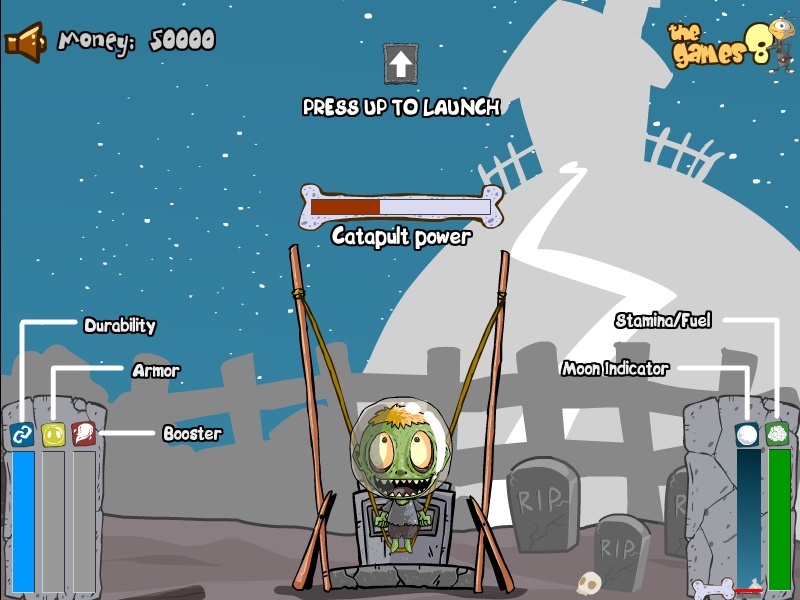 Launch his catapult and shoot him as far as possible into the sky. 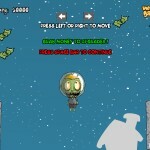 Try to move the wits back and forth to collect cash which you can use for upgrades. 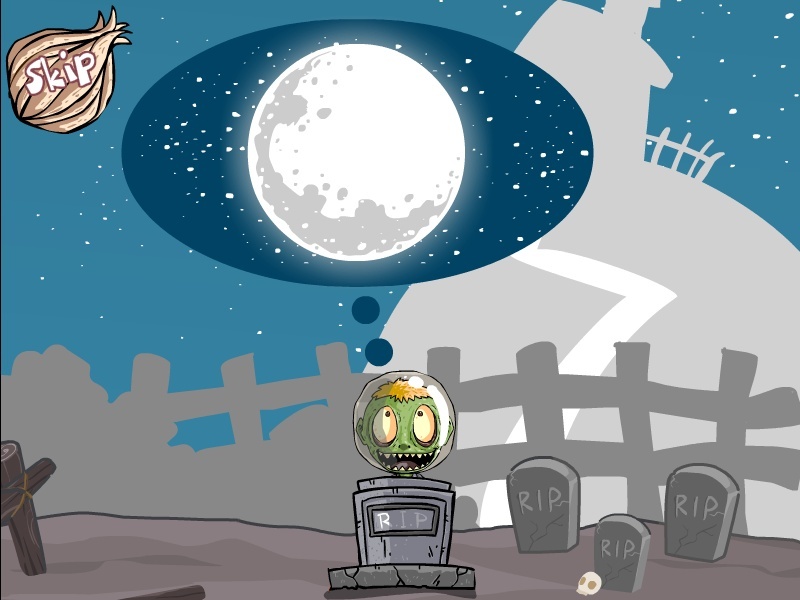 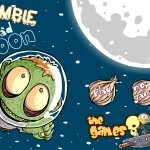 Enjoy Zombie Head Moon.